Passengers on one of the North East’s busiest bus routes will soon be benefitting from a fleet of brand new eco-friendly buses. Go North East, the region’s biggest bus operator, is to invest more than £4 million in new high specification hybrid double deckers for its prestigious ‘Angel’ route 21 between Newcastle, Chester-le-Street and Durham. Announcing the investment, Go North East managing director Kevin Carr said: “We were delighted to be amongst the winners in the Department for Transport’s latest round of Green Bus Fund awards, which gives grants towards the extra cost of buying hybrid buses. The fifteen new buses use Volvo’s parallel hybrid system. Traction power is supplied by either a small diesel engine or a 600 volt battery working either independently or together. Stop/start technology further reduces fuel consumption, meaning that these buses can use up to 30% less fuel than a conventional diesel bus. The technology also reduces exhaust emissions by up to 50%. The buses, which will carry up to 87 passengers and feature Wifi connectivity, could be delivered during the Autumn. The ‘Angel’ service 21 runs every ten minutes on Monday to Saturday daytimes between Durham and Newcastle via Chester-le-Street and Birtley with the first bus starting at 4.37am daily and running until just before midnight. 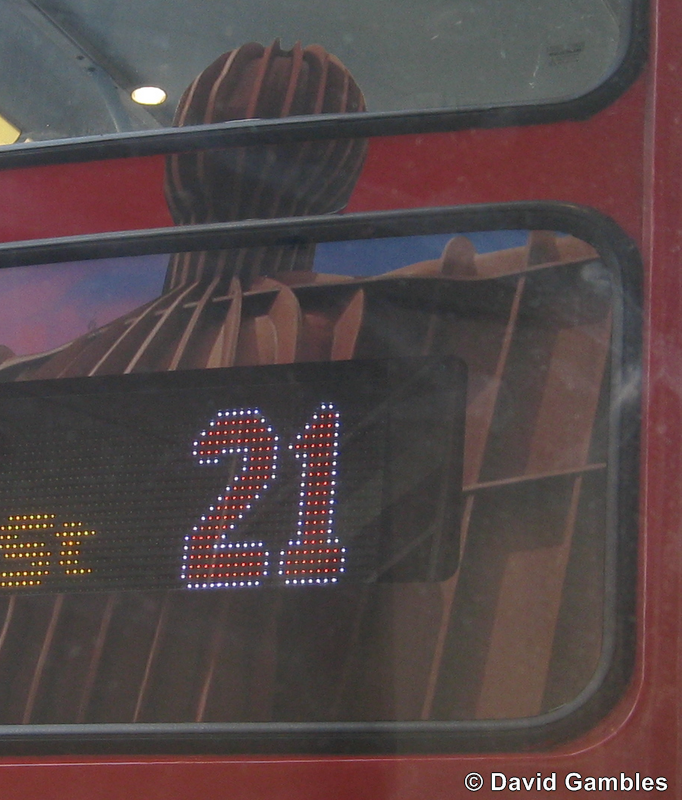 Night bus service N21 provides an hourly bus on the route through the night at weekends. In a separate funding bid, Go North East will also be receiving a third hybrid single deck bus to join the two vehicles currently operated on the ‘Sunderland Connect’ service linking Sunderland University’s campus with the city centre and St. Peter’s. The extra bus will enable this popular service to be increased during the day.